I am excited to be a part of this knitalong. I have swatched and am ready to go. Admittedly, I did not swatch the lace or in the round but let's hope for the best. 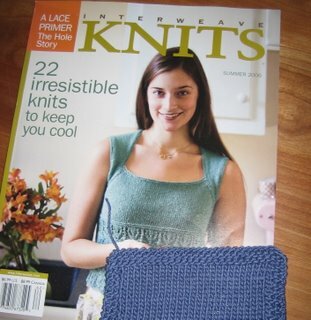 I am subbing with Elann's Sonata in Cape Cod Blue, a very economical choice suggested by Hellahelen over at Knitty, is she the same Helen on this KAL? I was thinking of using Sonata too. The swatch looks good! Your swatch looks great! 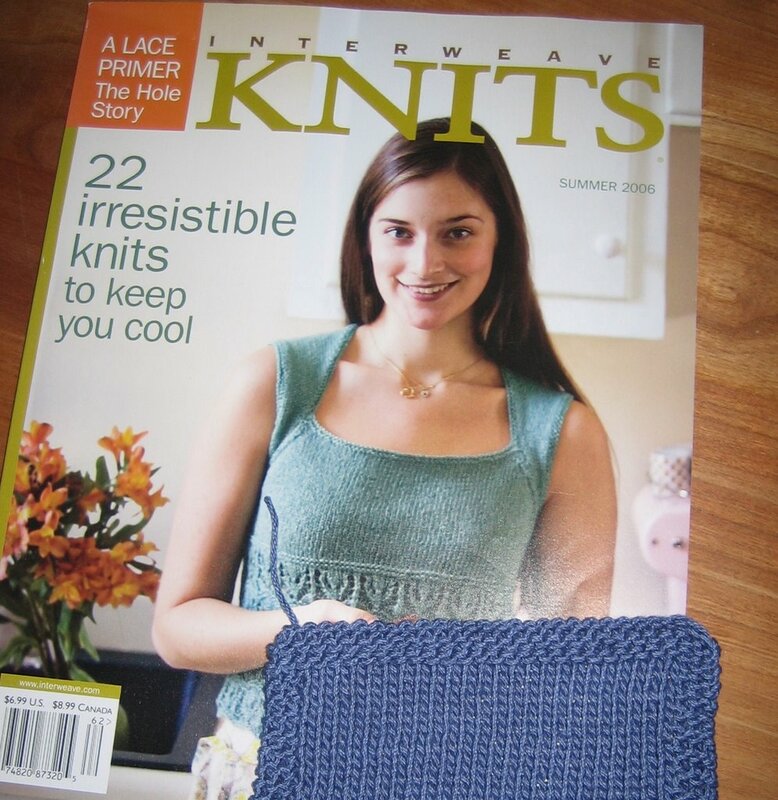 I won't be swatching the lace either, as it has more stretch than the stockinette. And if it's a little looser, it'll still look good because it's airy anyway. I honestly don't know. I had to frog after 9 rows and I just started over. I never thought about it being too heavy but you may be right. I can't buy new yarn at the moment so I will keep going and let you know. I can't wait to see how you do, then, and I'll leave the Sonata on the needles. It's weird that you mentioned having trouble around row 9. I did too. I think I missed a YO or something because all of my stitches were one stitch off. I am NOT going to frog, though! ;-) I'll just adjust. Good luck.